After his gore trilogy (Bad Taste, The Feebles and Braindead) and the lesser known Heavenly Creatures, the filmmaker that put New zealand on the map becomes a cinema archeologist and unearths the work of Colin McKenzie, a true pioneer of primitive cinema, who before everybody else singlehandedly invented the grammar of filmmaking. Too good to be true ! After discovering of a large quantity of film reels from the late XIXth and early XXth century in an ancestor’s shed, filmmaker Peter Jackson handed them over to the New Zealand Film Commission’s expertise. It appears that these films are the work of a certain Colin McKenzie, a mostly unknown artist who, in view of these film reels, may well become a new legendary filmmaker. 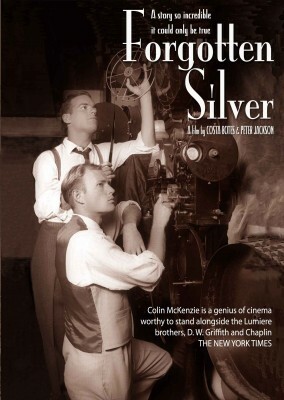 Far from a hagiography, and often carried by a somewhat comical aloofness, Forgotten Silver is mainly a reflection on cinema’s identity. The evolution of McKenzie’s style, from primitive documentaries to classy biblical sagas, gives Jackson the opportunity to reflect on his own career, from his first amateur films to the Lord of the Rings’ cinematographic adventure, which he will embark on after this, and that will give him his own place in history.